Do you feel like you’re not productive enough, like no matter how hard you try, you just can’t figure out how to get your work done? That’s where Getting Things Done comes in; this book will provide you with real, actionable steps so you can increase your productivity, complete your projects, and, well, get things done. This book aims to enable you to employ the fundamentals of managing workflow, implement an elevated and integrated total life management system, and leverage skills to create clear space and get things done. We have combined all the knowledge in this book into actions that you can implement in your life. While this book focuses primarily on improving your productivity in the professional world, some actions can also be implemented to improve your interpersonal relationships and facilitate self-development. 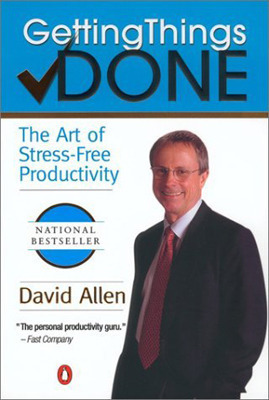 David Allen is a productivity consultant who is best known as the creator of the Getting Things Done time management method. He is the founder of the David Allen Company, which is focused on productivity, action management and executive coaching. His Getting Things Done method is part of his coaching efforts. He was also one of the founders of Actioneer, Inc., a company specializing in productivity tools for the Palm Pilot. Stay updated on your workload by engaging in frequent reviews. Conduct a weekly review to assess the progress of your projects. Use the four-criteria model to make an immediate decision. Follow this five-step method of mastering workflow. Close your open loops and keep all your to-dos in the physical world. Make a decision about your pending work and begin acting on it. Learn to efficiently work on projects. Use the threefold model to identify daily work. Use the six-level model to review your work. Use a natural planning technique to plan your projects. Create a functional home workspace.